Boxall & Roberts storm to finish in just 41 minutes! 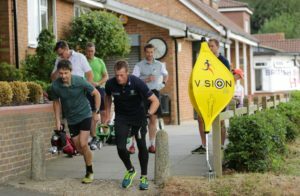 West Kent Golf Club played host to the Inaugural British Speedgolf Championships, the first dedicated Speedgolf Pairs Championship anywhere. Golf fever was running high across the land as 22 July marked finals day at The Open in Carnoustie. It was also set to be one of the hottest days of the year. The 18 hole undulating course was in superb condition, despite the heat wave and parched conditions which has characterised large portions of the UK this July. 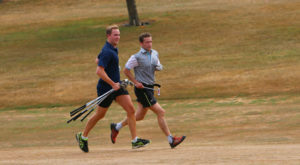 This faster golf challenge was no ‘run in the park’; in particular the fast greens wrecked havoc on the short game. The early 7.10 am start proved essential for cooler play, but competitors still traversed their round in temperatures approaching 24° degrees. 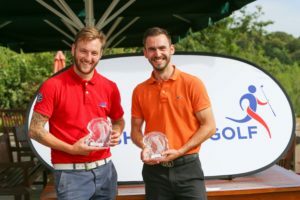 Winning pair amateur golfer George Boxall and West Kent Assistant Pro Tom Roberts embraced home advantage but finished their 18 hole round on this hilly course in just 41 minutes and 6 seconds shooting 81, giving the pair a Speedgolf Score of 122:06. Many who play traditional golf would find this speed and pace totally unbelievable. Despite this, the pair were a little disappointed with shooting 10 over PAR, having missed putts that would normally have been sunk. Runners Up were Chris Benians and Jamie Fowler who shot an impressive 79 in 47 minutes and 57 seconds; Speedgolf Score 126:57. As is the case with most recent Speedgolf Tournaments across the globe, there is little room to manoeuvre at the top! 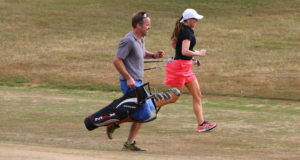 The field also included mixed pairs which was great to see, as was some new players to Speedgolf who took the plunge in their first Speedgolf tournament. 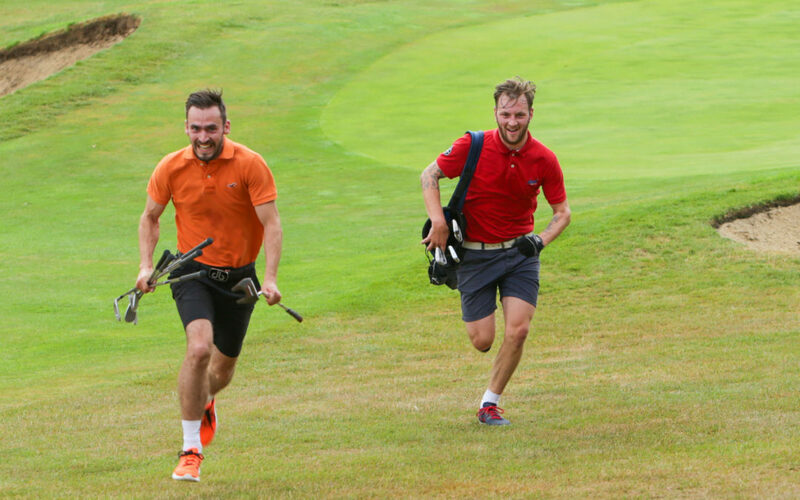 Speedgolf in the UK now looks ahead to the British Open Speedgolf Championships, the most prestigious Speedgolf Event in Europe where entrants will complete 18 holes Solo within Top flight, Amateur, Novice and Women’s categories. 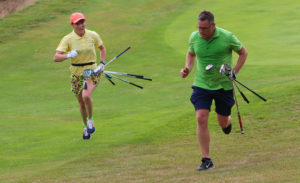 If you want to take on a Faster Challenge in Golf, at Piltdown Golf Club on Sunday 9 September, there is still time to secure your place, registration will close mid August! My Aussie Adventure – where will Speedgolf take you? Designed by Gel Creative | Copyright British Speedgolf Ltd © 2014-2019 All Rights Reserved.